When you look at it, whisky funds don’t seem to be complicated. First, line up your investors and capital, secure a portfolio of bottles with tremendous potential to grow in value, then release said bottles at auctions and private sales, and profit. Or at least, in recent years that’s what some Japanese whiskies and the whisky boom would have you think. As you may have guessed, the key to success comes in the form of having the industry connections to secure the right bottles or casks, profound knowledge of the trade as well as market demand for whisky. The strategies and approaches may differ, but the fundamentals are pretty much universal. Where The B28 Whisky Fund differs from other funds is that it’s not one that has put all its proverbial eggs into the profit basket — that is, it’s not solely about the money. Mike Soldner, the founder of The Whisky Fund, seems to think that you should enjoy yourself, get a little education and make some money at the same time. A big fan of scotch whisky and rum himself, Soldner is the founder of the B28 bar and is one of the pioneers of the whisky scene here. It’s safe to say that he has more than an adequate knowledge of the business and local tastes. He describes The B28 Whisky Fund as a mutual fund setup, as opposed to a pure investment vehicle. During their initial phase, he started off with 20 lots at S$25,000, where investors can combine as many lots as they wanted. Essentially, he says, everyone becomes an owner of the company, and with attractive benefits. In addition to getting coupon payments, they can buy whiskies from the fund at better prices, a lot like being part of a private club. Apparently, the adage of not getting high on your own supply doesn’t quite apply here. “Being a whisky aficionado is definitely helpful. It’s not just a straight up kind [of fund] where you put down S$25,000, make seven percent a year. It’s also the access to the whiskies, and just other things that won’t be sort of floating around in retail,” said Soldner. For The B28 Whisky Fund, seven per cent per annum is the guarantee; Soldner adds that the coupon payment works like a bond, which pays out in cash or inventory. It rises to eight per cent for a S$50,000 investment, and a full ten per cent for S$100,000. In the event of a bumper year where the investment grade whiskies perform well, investors will get their special dividend. The genius of it (from a drinker’s point of view, of course) is that the downside seems quite palatable, assuming that it’s a small investment for you to begin with. “The entire time, the money is in whisky,” explains Soldner. “So the worst case scenario is that everyone gets to have whisky. If everything goes wrong, it’s not sitting in a kind of a strictly mathematical or financial vehicle. It’s actually a physical product that’s held in bond and owned by us. So that’s sort of our, doomsday scenario, but it’s still not that bad when you think about it,” he smiled. Soldner explains that The B28 Whisky Fund is effectively a three-tier system, each with a category of products for sale or investment. 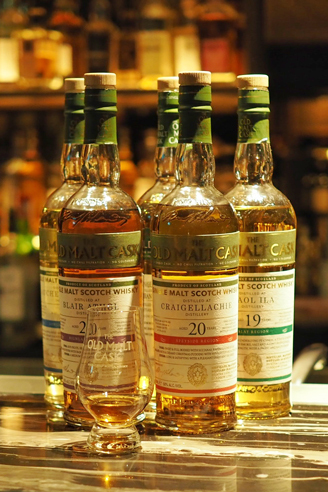 The first consists of products that they “can move quite easily.” As of now, it is made up mostly of relatively affordable offerings from Hunter Laing, specifically the Old Malt Cask (OMC) range. “I’m trying to get them into the bars as well, so it’s not just a rich people’s thing — it does get out into the market,” he stressed. The purpose of this first tier, Soldner explains, is to “pay the bills” as well as the coupons to their investors. The second tier covers purchases of entire casks that are exclusive. Soldner is also on the lookout to buy good or highly sought-after casks straight from the distillery — for example, a cask of Lagavulin, which in itself is notoriously difficult to get and is very desirable, especially if it’s well-reviewed by the online cognoscenti. As more anoraks become aware of relative quality and scarcity, finding a desirable cask can be a potentially lucrative undertaking. The third tier comprises of unique official releases that Soldner describes as a “buy and hold thing.” Once he feels that the time is right, they will sell, and this is how investors will get their special dividend. It sounds simple enough, but you’ll need someone with Soldner’s extensive experience and contacts to connect the dots. Rare, desirable bottles can be purchased if you have sufficient capital, but being able to acquire them at a price where you can turn a reasonable or healthy profit now or in the future is a different story. As the first tier strategy is important for The B28 Whisky Fund, Soldner’s good relationship with Hunter Laing is crucial in securing quality products. “We’re sort of able to pick and choose and bring in products that are quite easy to sell because the price points are within reason,” adding that a couple of years ago, these sort of bottles would themselves be of investment grade. Today, the markets have matured so much that these new independent bottlings offer more value as a good tipple as opposed to as an investment — in the short run, at least. Regardless, the scarcity premium when coupled with true aficionados who are willing to pay or invest, gives Soldner the confidence that the market will stay bullish, the reason being that the quantity of these whiskies is finite. “I think that’s a tremendous vehicle for indulging your passion and making a bit of money, and you know, being able to buy and possess a resource that has to increase in value because it decreases in quantity,” said Soldner. He adds that because of this, the investment opportunity is there; but in whisky that is ready to be bottled, so it’s not speculative in that regard at all. What with a high global demand and distilleries stretched thin by the almost unreasonable demand for quality, aged whisky, no age statement whiskies have become the norm, and the premium for anything remotely middle-aged (15-year olds to low 20’s or so) is on the rise and sees no sign of abating. The bread-and-butter element of Soldner’s strategy is one that will be of interest to whisky drinkers among us. Hunter Laing, while a relatively new name in the industry, is run by Stewart Laing, one-half of the brothers Laing, both of whom used to helm the famous Douglas Laing & Co together. Douglas Laing has been in the business since 1948, and, as Soldner explains, “has contracts with all of the major distilleries where they are given an allocation per year.” The OMC, along with the more exclusive Old & Rare, are among the most recognisable series offered by one of the most respected independent bottlers in Scotland, and the legacy continues under the stewardship of Hunter Laing post de-merger. As these contracts are ongoing, the OMC continues to offer the same bang for the buck quality they are known for. It is a competitively-priced single cask whisky, no chill filtration and no colouring added, and typically watered down to 50 per cent ABV. The luxurious Old & Rare is presented at cask strength and signifies the best whisky in their range, complete with a wooden presentation box. Apart from these, Soldner is also introducing a new label from Hunter Laing, and of a spirit that has a special place in his heart: Kill Devil, a new range of single cask rum. With a strong working relationship with Hunter Laing, Soldner also has the means to option an entire barrel of whisky or part thereof after tasting it, and it gets bottled and shipped over to Singapore. Soldner says that the Caol Ila will sell for about S$720 for private customers, which is within reason for an indie, single cask bottling of a 30-year-old Caol Ila. Among aficionados, this is considered par for the course, and they will not bat an eyelid at these prices. And yet, this isn’t considered a top-tier ‘investment’. So what does? For the sake of context, Caol Ila is relatively accessible — many independent bottlers can readily get their hands on Caol Ila one way or another. As such, it’s easy to find indie bottlings of Caol Ila in many ages and styles. Despite the fact that it is one of the most underrated distilleries with consistently good output, prices will remain relatively modest; it’s a victim of its success. As Soldner alluded to earlier, scarcity does build premium prices. In contrast, consider Lagavulin, a fellow Islay and Diageo distillery that fiercely controls where its whisky ends up. It’s near impossible to find an independent bottling of Lagavulin. So when they do special releases — single cask or otherwise — these bottles figuratively, fly off the shelves. At the annual Fèis Ìle (Islay Festival), the festival bottling of Lagavulin typically sells out within hours, and will appear in auctions fairly quickly to be sold at a much higher price. In the world of whisky these days, being able to provide exclusivity pays dividends, literally and metaphorically speaking. As a bar owner, Soldner understands more than most about what people more or less are receptive to. As one of the earliest champions of single cask whiskies in Singapore, he’s all for the idea of getting people to try something new. 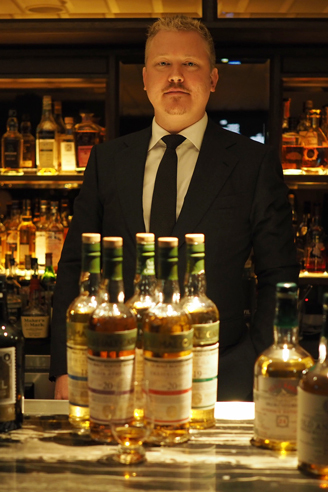 There has to be some degree of pragmatism of course, and his experience with the requirements of bars as well as whisky aficionados play a big part in deciding the bottles that arrive — after all, it’s important that they are commercial successes. Part of that stems from variety, and the first batch of OMCs featured one whisky from each major region (Islay, Speyside, Highlands, etc. 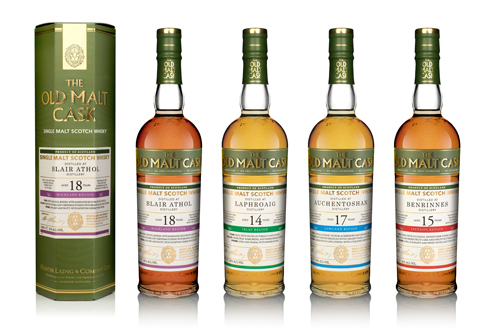 ), and three Islay distilleries for the Old & Rare, each with a distinctly different personality. “At least when we do tastings, I know for sure there’s going to be something that you’re going to like,” said Soldner. From his perspective, tastings can be tricky, especially the sort conducted by distillery representatives. Although you can have four or five whiskies in the lineup, it’s all from one place and a singular style, so if a guest doesn’t like the style of the distillery, then he or she pretty much won’t like the rest of it. Soldner believes that having a palette of distinctive styles ensures that people can experience something different with each bottle. With whisky prices and trends as they are, it’s inevitable that people will cast glances around in search of the next big thing. And for the longest time, rum has been touted to be that big thing. But it hasn’t quite exploded. 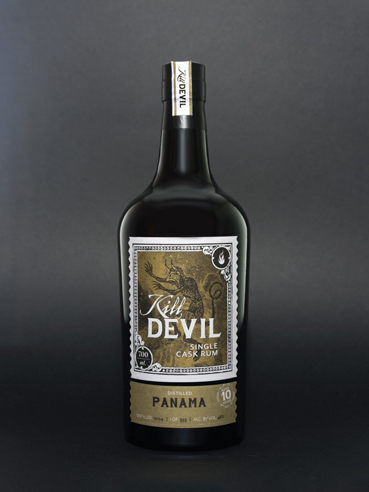 Soldner himself is a fan of rum — especially Jamaican — which also explains a little why he brought in Kill Devil as well. His love of rum goes way back to the days when he still owned B28 in Singapore. “Before I sold the place, we had like about 40 different dark rums on the shelves — it was just a personal thing. That’s like my number two spirit after whisky,” he reminisced. But investment-wise, he has a more cautious outlook. Some may find the Scotch Whisky Association overbearing, and there are cases to be made for them stifling innovation (the Compass Box controversies come to mind), but an appreciation for the upsides come about when facing problems that stem from a lack of proper regulations. The all-inclusive change will happen when the incentives and potential are clearer. But it all takes time, and it’s complicated further by the diversity of rum. Even Mezcal, a comparatively obscure spirit compared to rum has been making great strides in recent years thanks to the Mezcal Regulatory Council and its major (some say controversial) steps in introducing rules to make the spirit more marketable for the international market. That being said, some degree of self-regulation does exist in the world of rum. For example, the West Indies Rum and Spirits Producers’ Association Inc (WIRSPA) introduced the Authentic Caribbean Rum (ACR) marque, while the French apply the Appellation d’Origine Contrôlée (AOC) for Rhum Agricole that originate from Martinique. In recent years, Richard Seale and Luca Gargano are also two prominent industry figures who are independently looking to encourage the standardisation of rum classifications. Whisky drinkers unfamiliar with rum will be surprised to know that an age statement on a rum bottle does not mean much. Unlike whisky, it is not bound by law to reflect the youngest spirit in the mix — which is something the ACR and AOC demarcations are trying to change. The AOC is particularly strict, even going so far as to limit the cultivation yields of sugar cane crop to ensure sustainable agricultural practices. As such, less than 20 per cent of The B28 Whisky Fund portfolio consists of rum, falling under the first tier. Regardless, Soldner is hoping that people will be interested in trying out the single cask rum, which has the added benefit of a relatively attractive price. As Hunter Laing sources the casks for Kill Devil, you can be pretty sure that the selection panel approaches the selection of the rum as they would their whisky. You can expect interesting single cask rums that are true aged, with recognisable nomenclature on the label to satisfy a more demanding clientele with an insatiable appetite for information. Soldner’s initial selection consisted of five bottles from different distilleries to showcase a distinctive style. While not quite the same as having distinct whisky regions, they are different enough in character to leave a lasting impression. For him, this is an opportunity to set the tone for how to introduce rum to new drinkers; something that he feels was not done right previously. “We present whisky from different regions, different profiles, etc.. And here it’s like, here’s some rum,” he said, wryly. Soldner hopes that a more considered presentation will change the way people look at rum. The rising popularity of whisky here in Singapore doesn’t make it any less of a challenge for anyone involved in retail or distribution of whisky. The diversity of whisky’s regional styles and distillery styles is a treat for consumers and fans, but it’s quite a challenge for producers, distributors and retailers alike, as the increasing number of entrants means that they have to fight even harder for a slice of the pie. That reminder, in a way, is ultimately Soldner’s message: drink better and be open-minded; explore and educate your palate for it’s worth the trouble. Sound words, but the trouble is that there are a lot of different things to try, and we’re limited by quantity and time (and money, of course). FOMO and YOLO might seem like a youthful whim, but for the whisky aficionado, amusingly it is a ‘real’ concern. Be thankful then; for those of us with modest budgets, Soldner’s enterprise brings yet another steady stream of well-curated spirits. For those with the means to invest a tidy sum, The B28 Whisky Fund might well be the most enjoyable way to make your money (and your whisky library) grow. *Readers of spirited.sg are advised that this material is provided for informational purposes only. It does not constitute a recommendation or an offer to provide any financial product or service. The views and opinions expressed are those of the interviewee only and we have assumed without independent verification the accuracy and completeness of such information, and neither agree nor disagree with the content herein.